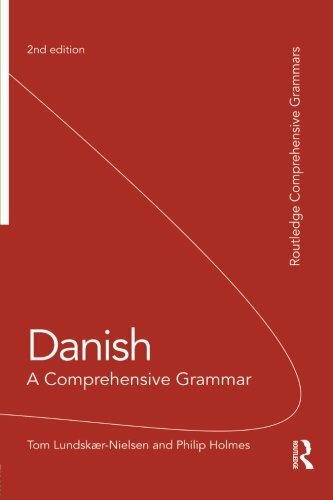 Beginner's Danish offers basic language instruction in the national language of Denmark, presenting grammar, vocabulary, and common phrases in clear, concise lessons. Perfect for both classroom and independent students, each of the 13 lessons opens with dialogues on topics such as greetings, family, athletics, dining, illness, holidays and celebrations. 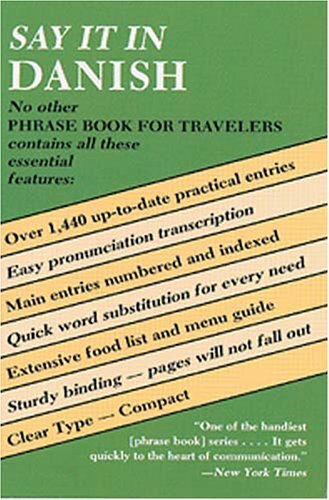 Following the dialogues are vocabulary lists, explanations of grammar, and exercises. 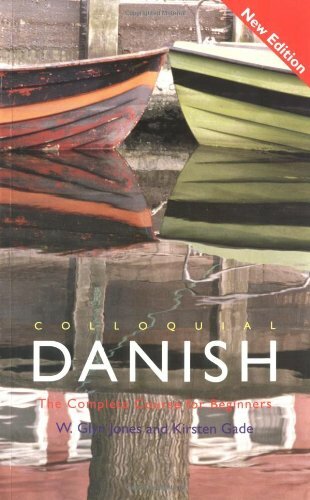 Two audio CDs accompany the lessons, providing correct pronunciation of all the vocabulary and a selection of the dialogues, with pauses for repetition by the student. 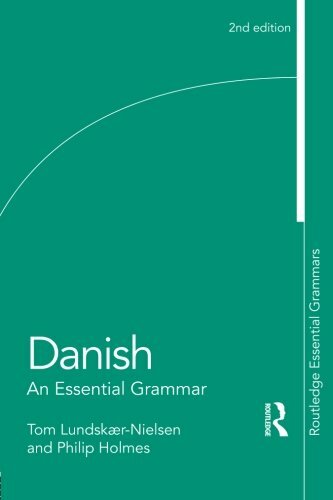 Also included are an exercise key, Danish-English and English-Danish glossaries, as well as an introduction to Danish history and culture. Now learning a foreign language can be enjoyable as well as challenging, and not require a trip back to the classroom. 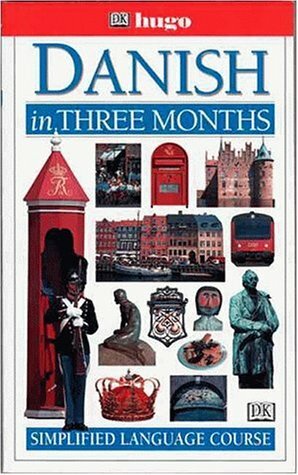 Available in both book-only or book-and-cassette format, these Three-Month Language Courses are outstanding self-study programs designed for the individual seeking to acquire a good working knowledge of a language in a short amount of time. Devoting just over an hour daily to the course, the program provides grammar lessons, contextual conversion drills, relevant word lists, and graded exercises, giving you an immediate and practical grasp of the language. In addition, pronunciation is made easy with Hugo's unique "imitated pronunciation" system, which represents foreign sounds with English syllables. Whether you are a businessman tackling an international account, a student preparing for an adventurous holiday, or simply a lover of new languages, the Three-Month Language Course makes learning easy, satisfying, and more fun than ever before. 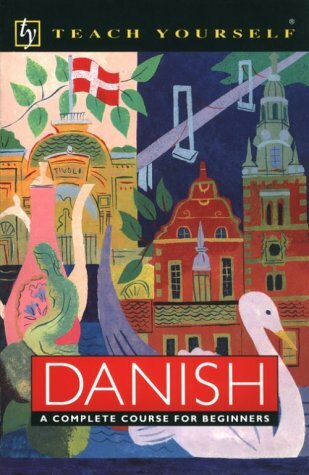 English and Danish. Mark top edge. Pages are clean. Binding is tight.